I have a sharepoint list which is for safety inductions. Currently when someone submits their safety induction they can choose Yes/No to which aspects of training have been covered and then once submitted it will go to approval based on the Trainer E-mail they have put in the Person field. With the Yes/No parts I want to set up a Flow which will send an email with an attachment with a competency assessment with a Q and A which covers aspect of that training. For example if they have chosen Yes to Electrical Safety then they will be sent an email with the competency assessment attachment for Electrical Safety from the document library on the same page. 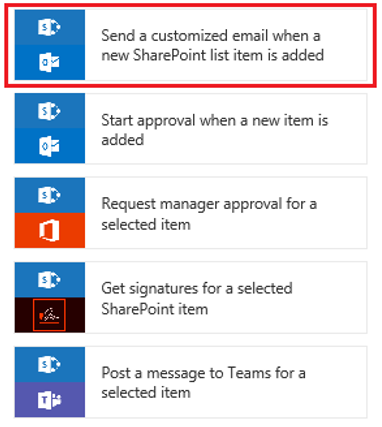 Is this currently possible with Microsoft Flow and Sharepoint Online? I can set it for an entire item but not for a single field. Yes this can be done using flow with below steps. 1. Add trigger for item modified. 2. Add action to get item from same list with item ID returned as dynamic output of step 1. 3. Add condition check the field value. 4. Add action to send E-Mail. “Enabled from Specify whether users can attach files to items in this list”. 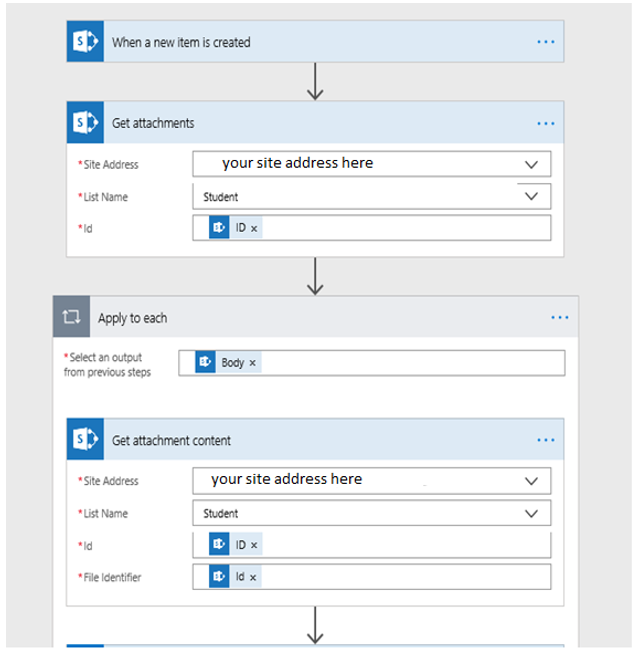 • The flow can be created directly by clicking on the Flow button as shown in the image above, Select the type of event were the user needs to send email, here we are using the following option to send once the user adds a new record. 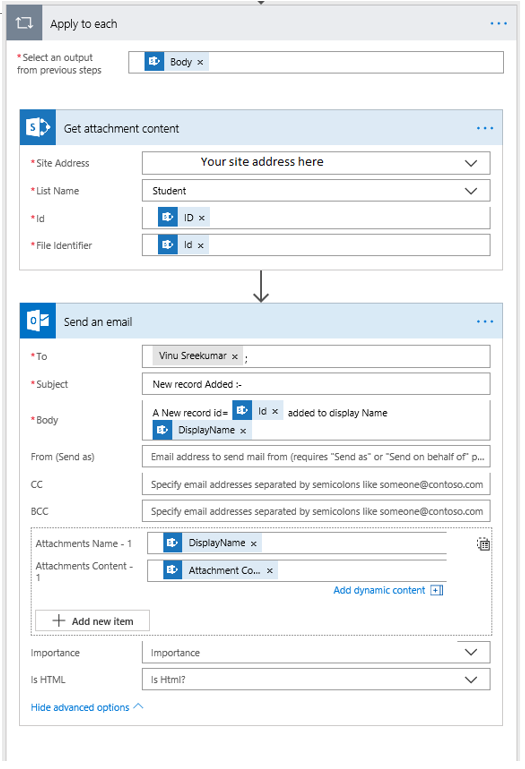 • Send email functionality will come inside the Get attachment content to get it linked with the content, click on Add an Action Button to achieve this. 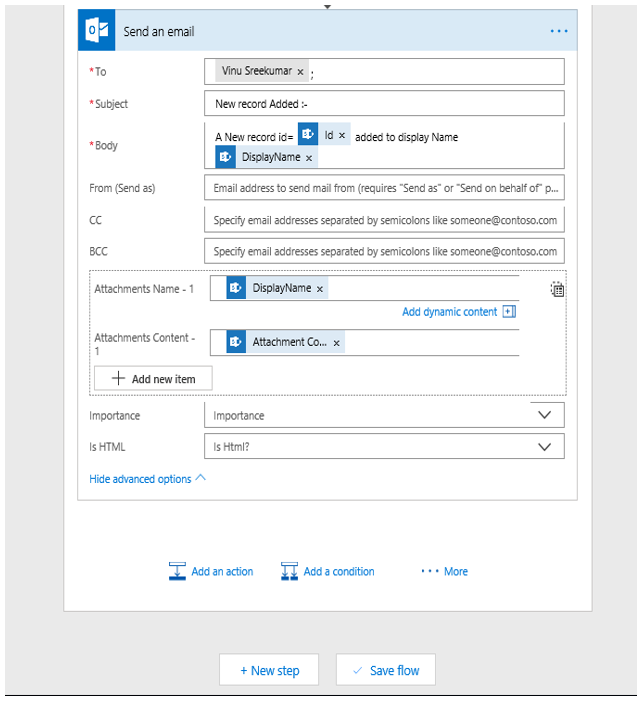 Send an Email (select Outlook 365/select Outlook) activity we need to provide the recipients email address and Subject . Hope this would help ....Enjoy !! !